Dr. Shannon Pritchard is Assistant Professor of Art History at the University of Southern Indiana in Evansville, Indiana. She received both her Master’s Degree and Ph.D. from the University of Georgia. 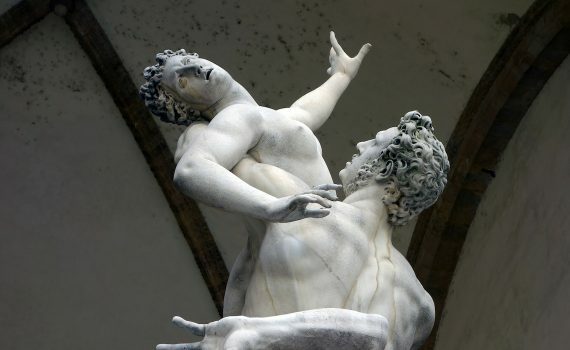 Continued areas of research include broader issues of the paragone in late sixteenth-century Florence, Caravaggio and his use of prints, and Giambologna’s role within the Accademia del Disegno in Florence. Heave-ho! 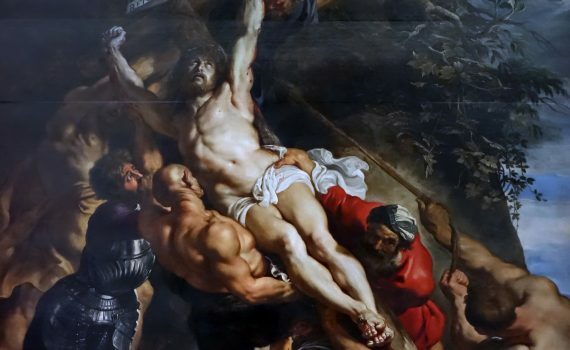 Rubens’s muscle-bound figures struggle to lift the cross and seem ready to burst through the painting. With a complex, multi-figure composition, this monumental sculpture captures a moment from ancient Roman history. Togas or tights? Classical dress helps set the Twelve Apostles apart from a bunch of Renaissance men. Acid colors and contorted bodies fill the entire chapel. Step inside, join the damned—welcome to Signorelli’s Hell. Aurora’s chariot brings forth a new day, but Reni’s classicism looks back to the art of ancient Greece and Rome.